It is hard to believe we are already looking at another release of SOLIDWORKS. It has been a full year since we released SOLIDWORKS CAM Powered by CAMWorks. Throughout this first year we have spent a lot of time with customers seeing all the cool things they manufacture and gained some important feedback for future versions! Let’s take a quick look at some of the key features of SOLIDWORKS CAM in 2019. As manufacturing becomes more competitive around the world, it is important to get the most out of all aspects of the manufacturing process. 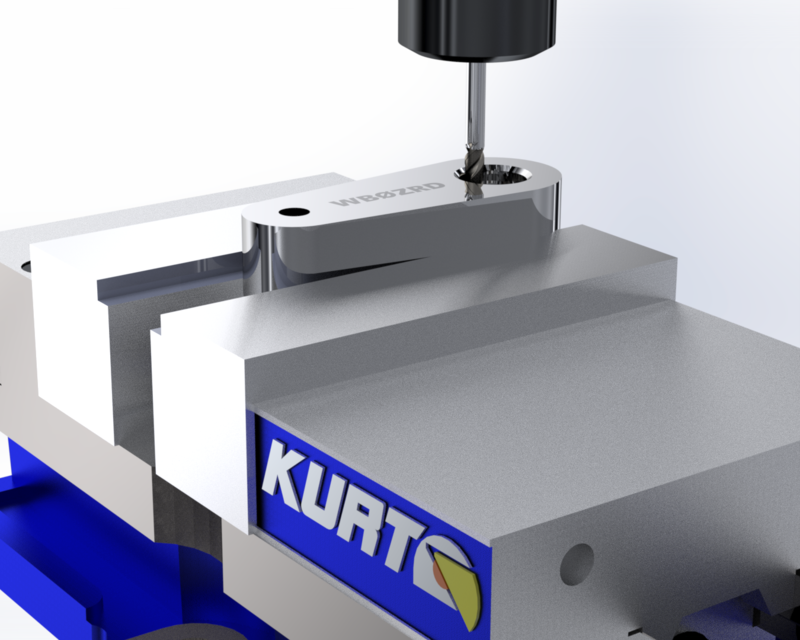 In 2018 SOLIDWORKS CAM Professional provided Volumill toolpath to improve tool life and shorten cycle times on milled components. In SOLIDWORKS 2019 users will be able to leverage two new options in Volumill: Rest Machining and Zig Zag toolpaths for constant cutting on long parts. These two additions will allow HSM toolpaths to be used in more machining strategies to reduce cycle times and improve machine output. Due to the affordability of CNC equipment today, most shops are adding equipment that covers multiple disciplines. It is common to find facilities that have Lasers, Plasma, Mills, and Lathes to meet the growing demand to be a “one-stop shop” for their customers. SOLIDWORKS CAM 2018 allowed users to capture rules based on feature geometry and material type. In SOLIDWORKS 2019, users will be able to assign feature geometry and material to a specific machine. This extended functionality will allow companies to standardize their manufacturing process more accurately. Tolerance-Based Machining in SOLIDWORKS CAM 2019 introduces some powerful new capabilities that dramatically reduce the time required to generate CNC programs for Turned parts with close tolerances, and surface finish requirements. Tolerance-Based Machining in SOLIDWORKS 2018 started with understanding tolerances on milled components. Starting in SOLIDWORKS 2019, users will be able to extend this automation to turned components for lathes using SOLIDWORKS CAM Professional. The addition of planer feature recognition will allow automatic recognition of machining strategies for OD and ID lathe geometry. When creating traditional toolpaths like pockets and bosses, it can be necessary to adjust the feed rate as a tool enters a corner to maintain tolerance or required finish. SOLIDWORKS 2018 required these changes to be applied during the post-processing operation. 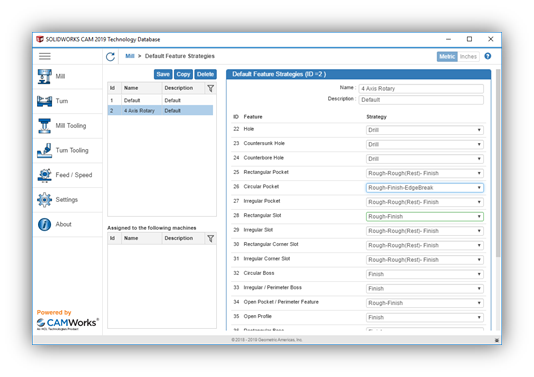 With SOLIDWORKS 2019, users will have the ability to define these changes from the feeds/speed tab, which will allow users to manually apply a feed rate change or toggle to an automatic calculation based on industry standards. When this option is turned on SOLIDWORKS CAM will apply the feed rate change for every sharp corner or arc in the toolpath. This allows for operation-specific feed rate changes to meet the tolerance or finish requirements specified in the design process. 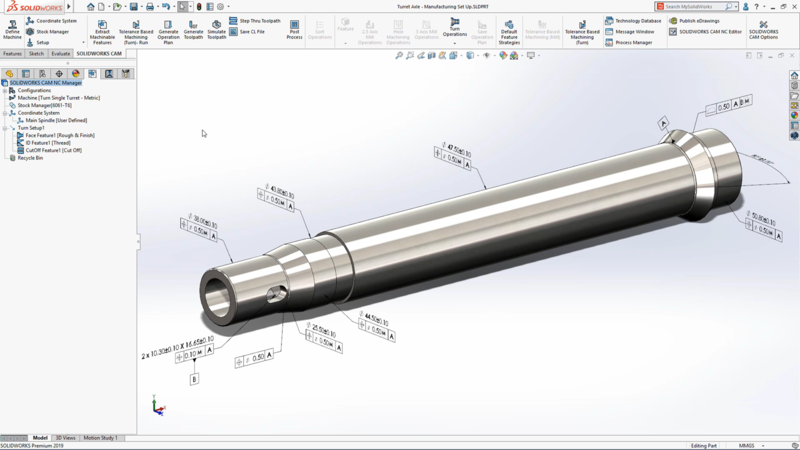 SOLIDWORKS CAM 2019 allows you to streamline your manufacturing process by capturing standard workflows, reading MBD tolerances, and extending the life of tooling and equipment. For more information, please check out the SOLIDWORKS CAM product page or contact your local SOLIDWORKS CAM reseller.